We know that the SFM is not for everybody. There are many programs and systems out there that promise to deliver this and that and many people will want to go for what appears to be the easy money. Some of those programs and systems may deliver what they say they will but the vast majority won’t. 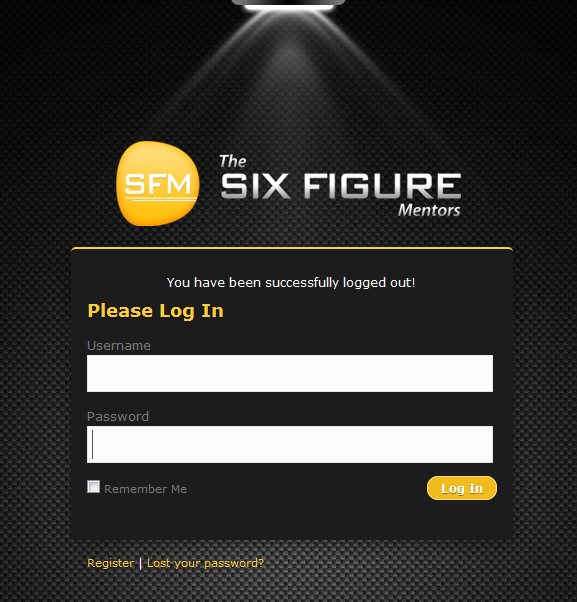 That’s not what the Six Figure Mentors is about. The Six Figure Mentors is about learning how to market just about anything online using methods that will work if you learn them and apply them. You can earn good commissions by promoting the SFM but that’s optional and right from the beginning you are advised to promote the things that you choose. It’s about acquiring the right skill set and the right mind set to go out succeed on your own terms. That means that you are probably going to have to work hard to start with but with the right application you can work towards a business that doesn’t need to be minded all the time and that you can look after wherever you can get a decent internet connection. This is what you see after you login. You can click this to see a bigger version of it. I’ll home in on the significant areas below. You will probably remember who you signed up under but just in case, near the top and on the right is your referrer’s details. The person who you signed up with is a good source of help, after all you are in their team! In the end, we are all here to help each other but a good referrer is often your first line of contact. 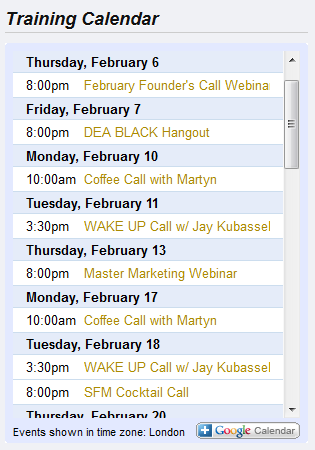 Underneath your referrer’s details is the training calendar. The Six Figure Mentors have a lot of live training but even if you miss it you can still see it in the archive area which I will get to in another post. You don’t have to attend all the training, you decide what you want to attend. Some of the courses are short series and are repeated again live as this keeps them current. 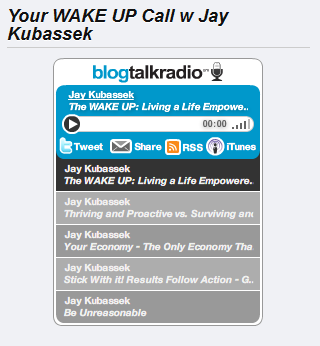 Next down, under the training calendar is Jay Kubasseks Blog Talk Radio show. Jay regularly records a program based around mind-set and how the mind works. Many successful people pay a lot of attention to their mind-set whether they are musicians, athletes or business people. 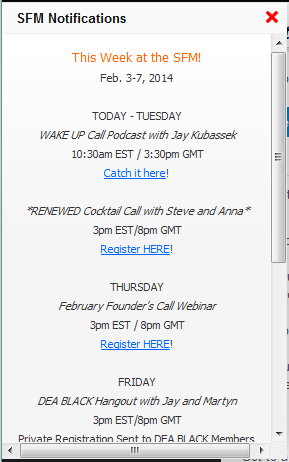 You can listen to the broadcasts here or go onto the BlogTalkRadio site. 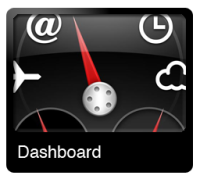 Once you have taken in the Dashboard the next thing you’ll probably want to do is get started. 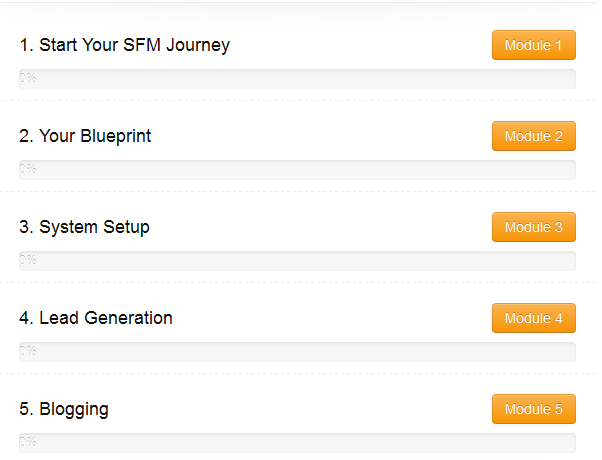 These easy to find modules will guide you through the setup and the beginning of your training. 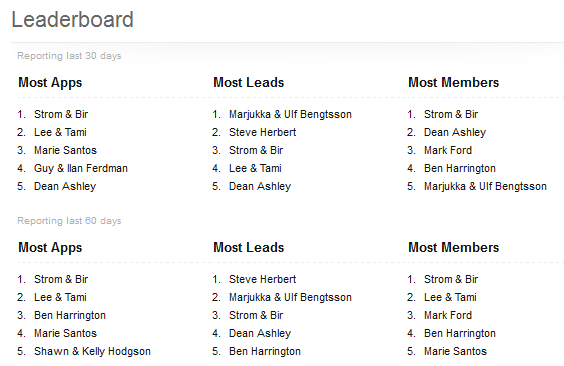 At the bottom of the page you will find the Leader Board. Maybe you are competitive maybe not but if you are you might want to see if you can get onto the leader board once you know what you are doing. These are the people who know what’s working and are good to follow. 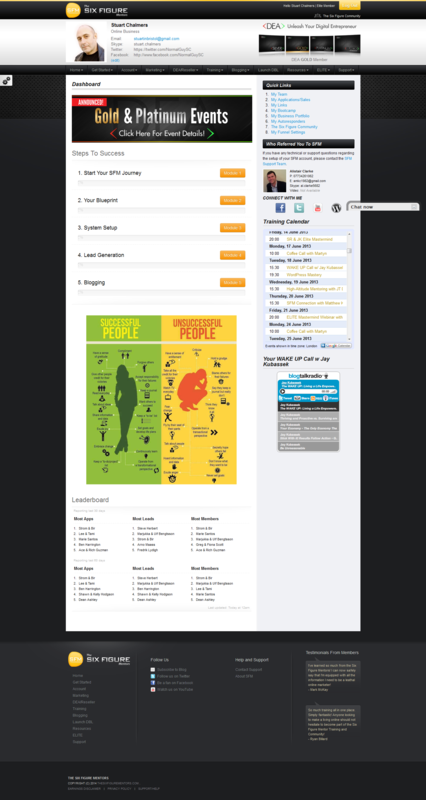 There is a popout on the left hand side which will tell you about the latest training and events. Clicking the red cross will cause it to slide away to the left. 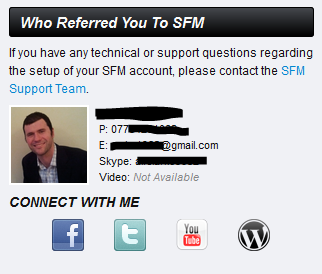 In the next post on the SFM back office I will take a look at the “Home” Drop down and the Bonus Course. See the next leg of the journey – NEXT. Pingback: Can We Deliver What We Expect?